Victoria, a south-eastern Australian state has halted application process for Australia Skilled Visas due to huge rush. The acceptance of the new skilled visa nomination applications is on hold until further notice in order to manage the received requests. This is because of a huge pile of Australia Skilled Visas nomination applications. This is not a permanent halt although. The acceptance is stopped temporarily because the department has to assess and manage the applications received before 15th May. The decisions to be taken on these applications might face a delay as well. Despite this, the nomination applications for the business and investor visa will not be affected. The Department of Economic Development, Jobs, Transport and Resources of Victoria issued a statement. It said that the department is not accepting any new applications for Australia Skilled Visas. This includes Subclass 190 Skilled Nominated visa or Subclass 489 Skilled Provisional Regional visa. This is to help in managing this demand, and meet service commitments, it added. Similarly, the Queensland government has also stopped issuing the applications until July 2018 in order to clear the previous logjam of applications. 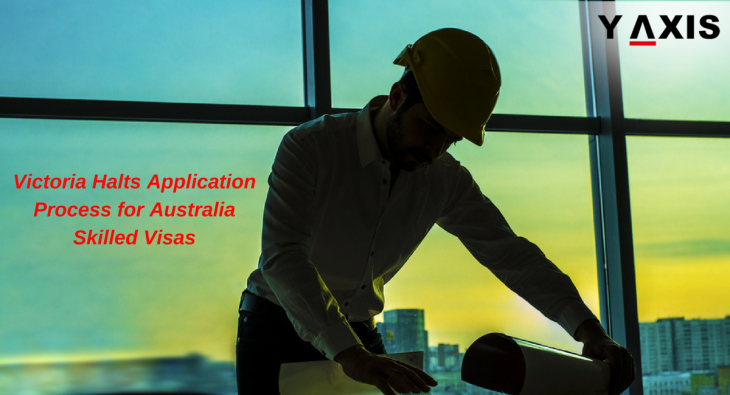 Once this is sorted out, the applicants must issue new EOIs in July so as to apply for the skilled nomination. It is to be noted that the Australian states have their own programs for migration to cope up with their needed skill set and meet labor demands. This helps them to sponsor the applicants. Australia’s annual immigration intake cap of 190,000 is well maintained because of the strict visa checking procedure. In 2016-17 the intake of people was 183,608 which were reduced to 138,086 as of April 30th, 2018. The application of the skilled nomination became tougher and complex because the technology used indicated more factors which showed more details about the risks of approving an applicant. The Head of Home Affairs department, Michael Pezzullo said that “applicants get more ‘hits’ in our trade. This is as they couple increased databases into their checking mechanisms. These have to be resolved” he added.